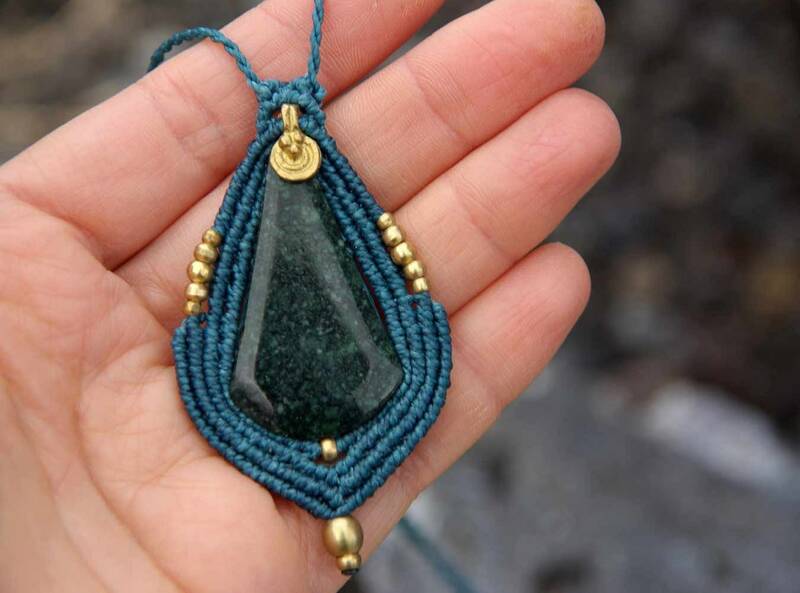 Precious JADE from GUATEMALA in a MACRAME pendant. 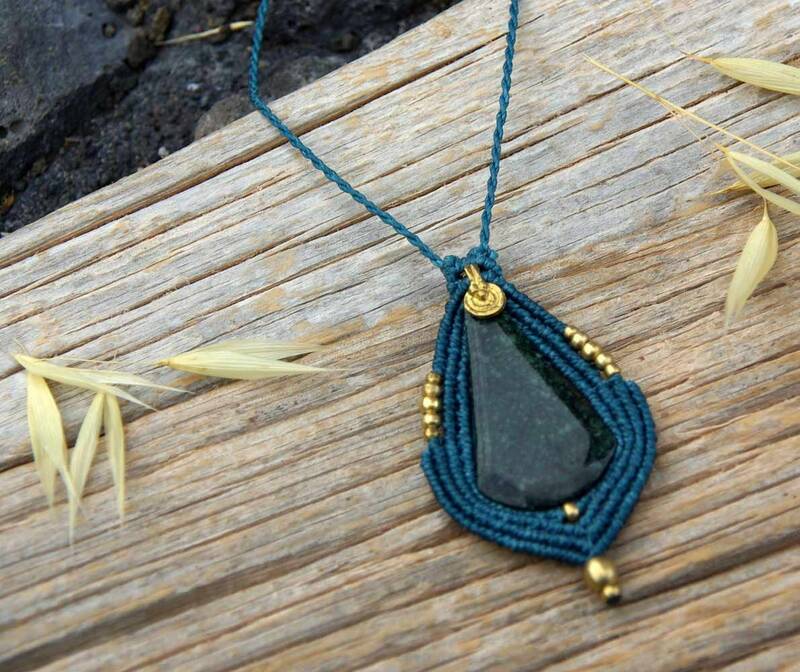 This is the stone of SERENITY, and it has been throughout history very venerated in the East. 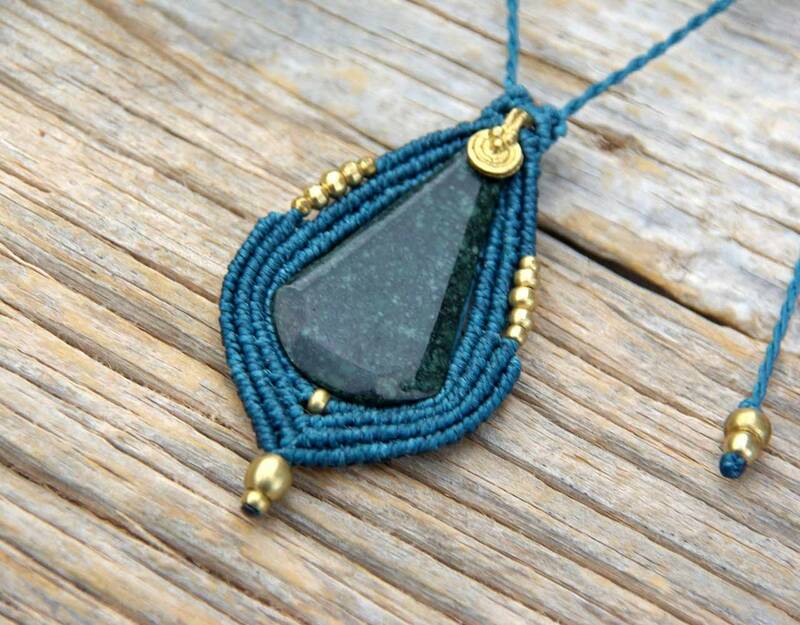 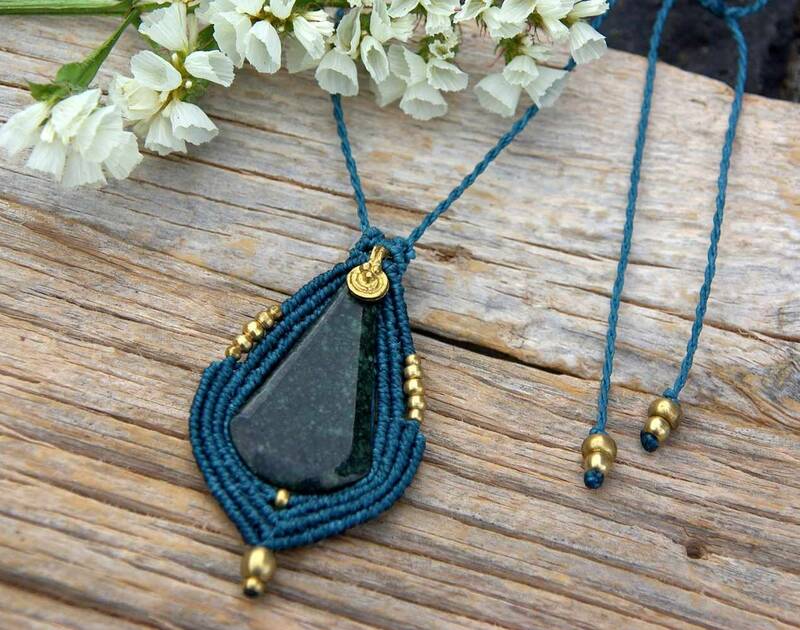 The pendant is made of knots with the macrame technique in waxed turquoise thread and brass balls. 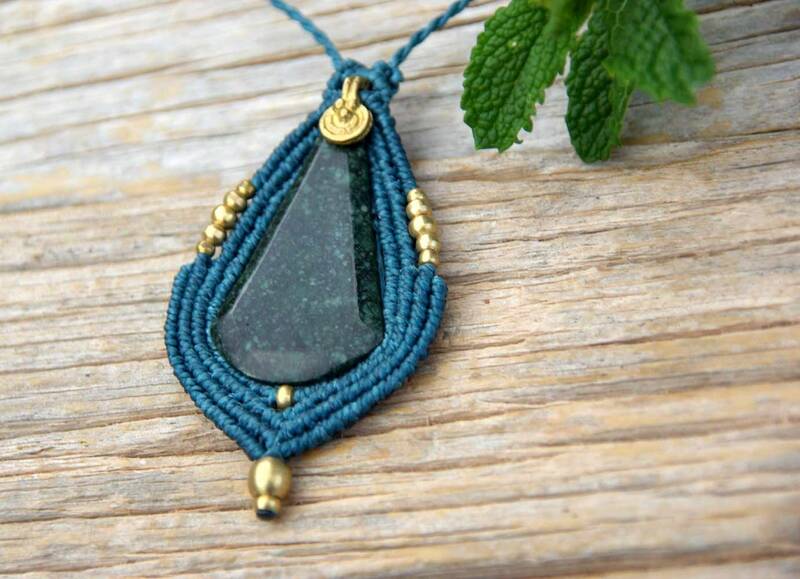 It is nickel free and water resistent. 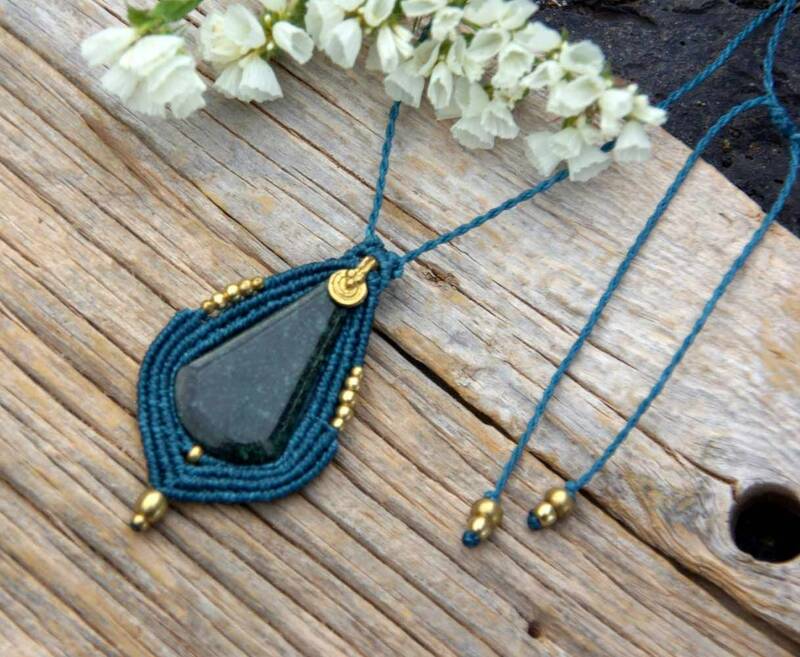 It has a sliding knot closure so it is perfect to carry with you always.